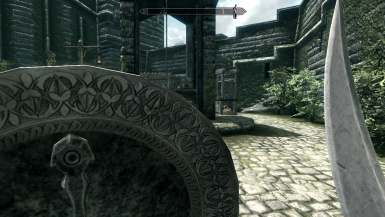 I made this shield for my redguard to fit with the scimitar, I thought it looked pretty good so that's why I want to share it with everyone. 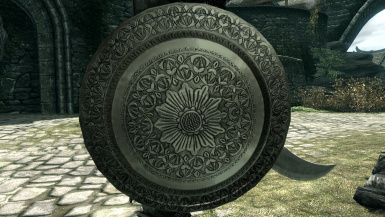 I personally think that it's best used by a redguard but you can use it with any race of course. It is now a standalone, it has the same stats as the steel shield and is craftable and upgradable.